Keys to Our Past: Mental Health Film Series Premiere Oct. 4th! AHP readers in the Toronto area will be interested in the upcoming premiere of a new film series on the history of mental health care in Canada. Keys to Our Past premieres the evening of Wednesday, October 4th at Humber College, the site of the former Lakeshore Psychiatric Hospital. RSVP for the free event here and watch the series trailer above. Full details below. 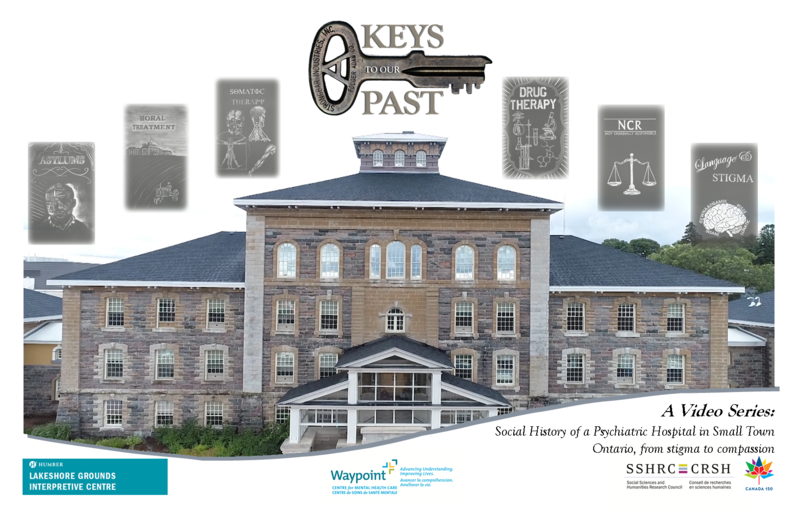 Join us on the grounds of the former Lakeshore Psychiatric Hospital for the premiere of KEYS TO OUR PAST, an original film series about the history of mental health care in Canada created by the Waypoint Centre for Mental Health Care in partnership with the Lakeshore Grounds Interpretive Centre. Hear about the creation of the asylum system, changes in treatments over time, and the continuing challenge of stigma directly from the writers, producers, and directors of this unique project.